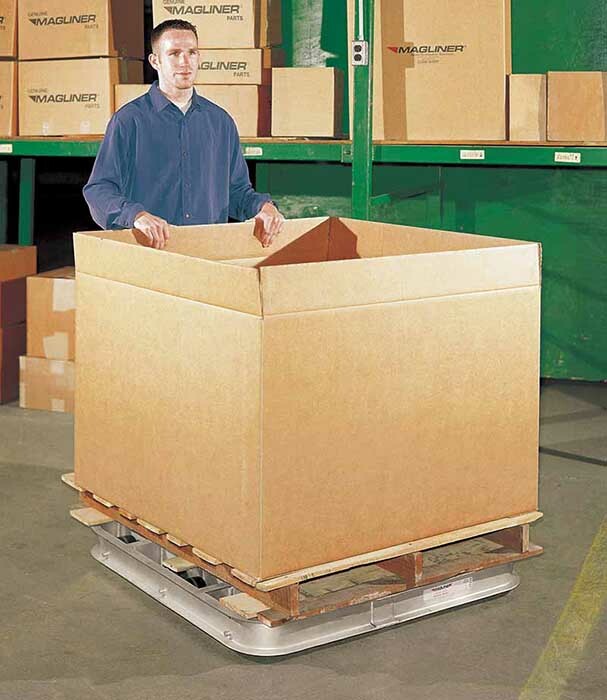 Non-turning dollies feature a straight back-and-forth movement that is ideal for pallet storage. No more crouching or climbing under rack to pick product. With your pallet stored on a dolly, simply pull out for access and push back for storage. Pallet dollies are compatible with all pallet styles without legs. Also useful for boxes, crates, and other containers. PDN363606 36" W x 36" L 6 4,000 lbs. 3,000 lbs. PDN363608 36" W x 36" L 8 6,000 lbs. 4,000 lbs. PDN363610 36" W x 36" L 10 8,000 lbs. 5,000 lbs. PDN364206 36" W x 42" L 6 4,000 lbs. 3,000 lbs. PDN364208 36" W x 42" L 8 6,000 lbs. 4,000 lbs. PDN364210 36" W x 42" L 10 8,000 lbs. 5,000 lbs. PDN364806 36" W x 48" L 6 4,000 lbs. 3,000 lbs. PDN364808 36" W x 48" L 8 6,000 lbs. 4,000 lbs. PDN364810 36" W x 48" L 10 8,000 lbs. 5,000 lbs. PDN423606 42" W x 36" L 6 4,000 lbs. 3,000 lbs. PDN423608 42" W x 36" L 8 6,000 lbs. 4,000 lbs. PDN423610 42" W x 36" L 10 8,000 lbs. 5,000 lbs. PDN424206 42" W x 42" L 6 4,000 lbs. 3,000 lbs. PDN424208 42" W x 42" L 8 6,000 lbs. 4,000 lbs. PDN424210 42" W x 42" L 10 8,000 lbs. 5,000 lbs. PDN424806 42" W x 48" L 6 4,000 lbs. 3,000 lbs. 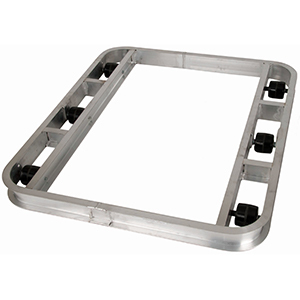 PDN424808 42" W x 48" L 8 6,000 lbs. 4,000 lbs. PDN424810 42" W x 48" L 10 8,000 lbs. 5,000 lbs. PDN484806 48" W x 48" L 6 4,000 lbs. 3,000 lbs. PDN484808 48" W x 48" L 8 6,000 lbs. 4,000 lbs. PDN484810 48" W x 48" L 10 8,000 lbs. 5,000 lbs.